Analysis of mobility habits. 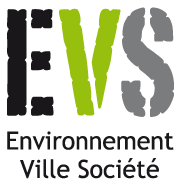 Use-case leader: Oliver Brette (EVS ITUS). On the offloading of cellular networks. Use-case leader: Hervé Rivano (INRIA Urbanet). Analysis of individual mobility dynamics. Use-case leader: Patrick Bonnel (LET ENTPE). Privacy issues that shall be investigated in the project include: privacy preserving data collection, privacy preserving data dissemination and privacy preserving dataset sharing. You can get further information by downloading the poster and an article published in the "Usine Nouvelle" magazine (both in french). This project is supported by the LABEX IMU (ANR-10-LABX-0088) of Université de Lyon, within the program "Investissements d’Avenir" (ANR-11-IDEX-0007) operated by the French National Research Agency (ANR). © Copyright 2014-2019 LIRIS. The content of this page is licensed under the Creative Commons Attribution 4.0 License.